Jordan Torunarigha is a highly talented German-Nigerian with a stark left foot. He has graduated through the ranks from Hertha’s youth team and he is revered for his astuteness in defence. It is the reason why Nigeria’s Super Eagles coach, Gernot Rohr, and the Nigeria football federation(NFF) have been trying to convince him to play for Nigeria. Victor osimhen finally signs for VFL Wolfsburg. Salomon Kalou is ready to shine in the Bundesliga. Dieter Hecking criticizes Bas Dost. Felix Magath leads VFL Wolfsburg to mediocrity. Wolfsburg defeated Hertha Berlin in the Bundesliga 2-0 with the goals scored by Bas Dost of Wolfsburg.However, the game was over-shadowed by criticism from Wolfsburg coach, Dieter Hecking,against Bas Dost. Bas Dost was alleged to have been irked over his substitution in the champions league match against ZSKA Moscow during the week. Later, Bas Dost was accused of training without motivation during the week and disturbing team chemistry. Hecking rotated players in three positions against Hertha.Luiz Gustavo and Ricardo Rodriguez were replaced by Marcel Schäfer and Josuha Guilavogui.While,Nicklas Bendtner, started instead of Dost in 4-1-4-1 system. The two goals by Dost was a delight to watch. Bitter for Hertha Berlin over the injury of goal keeper, Kraft, in the first half. It is too early to access the differences between Hecking and Dost.But, i hope both parties will settle in the interest of the team. Ralf Rangnick exits 1899 Hoffenheim. Dieter Hoeness strikes in familiar territory. Hertha BSC of Berlin started this Bundesliga season with a lone goal against FC Augsburg in WWK arena in Augsburg. The goal scorer was Salomon Kalou through a penalty.He was fouled in the penalty area and he decided to take the penalty kick which he converted. This season, Kalou has started on a high note, with two goals in two competitive matches. He scored, against second tier Arminia Bielefeld in German FA cup last week. The team supports him and he has the full confidence of the coach. In fact, the coach, Pal Dardai, prophesied that Kalou will score in Augsburg, and he delivered. Co-incidentally, Kalou has fond memories of playing in Augsburg. He scored in Augsburg last season against goalkeeper, Marwin Hitz, of FC Augsburg. Kalou also said the team plays with more confidence and create lots of scoring chances compared to last season. 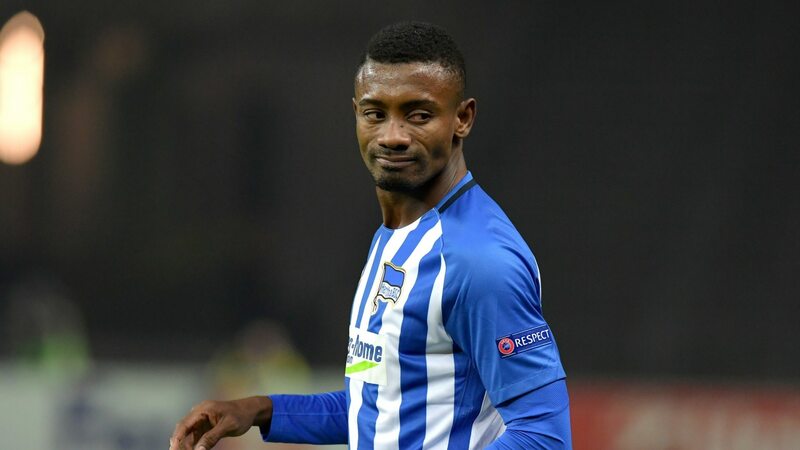 Salomon Kalou has finally arrived in Berlin and through hard work and self-confidence, he wants to make history with Hertha. FC Augsburg struggling to stay in the Bundesliga. Dieter Hoeness, the current general manager of Bundesliga champions, VFL Wolfsburg, is on a mission to recruit the best brains to assist him in Wolfsburg. He did not look too far for capable hands. He is recruiting staff from his former club, Hertha BSC. His recruitment drive makes Hertha supporters wonder if it is revenge in disguise. Hoeness, was unceremoniously relieved of his duties at Hertha BSC, last summer after a bitter fallout with Hertha president,Werner Gegenbauer and Lucien Favre,the former manager. Hertha chief scout,Rudi Wojtowicz, is highly rumored to be heading to Wolfsburg. Wojtowicz, is credited to be the brain behind the signing of Andrey Voronin, Gojko Kacar,Joe Simunic and Marko Pantelic to Hertha. Jochen Sauer, a former lawyer for Hertha might also join Hoeness in Wolfsburg. Since Hoeness’s exit, Hertha is struggling to remain relevant in Bundesliga. If Hertha is relegated to the second division, Hoeness is already contemplating the services of Gojko Kacar and Arne Friedrich for Wolfsburg. 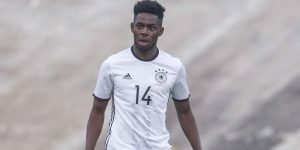 VEHLIX is history at VFL Wolfsburg.